Poster for Dovecot Studios' Follow the Thread exhibition, with the logo and identity that I have designed. The exhibition opens on 2 August as part of the 2013 Edinburgh Art Festival. This is the A3 version but I also designed an A1 version and a 6 Sheet bus stop poster - looking forward to seeing them around the city. 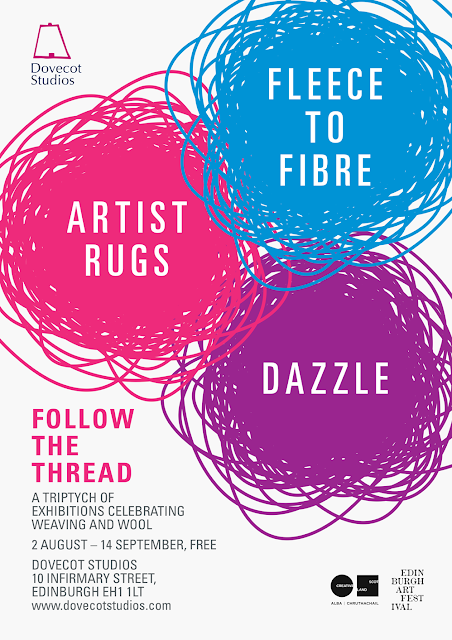 Digital proofs of the leaflet for Dovecot Studios' Follow the Thread exhibition, with the logo and identity that I have designed. The exhibition opens on 2 August as part of the 2013 Edinburgh Art Festival. The leaflets are being printed by Allander Print in Edinburgh. 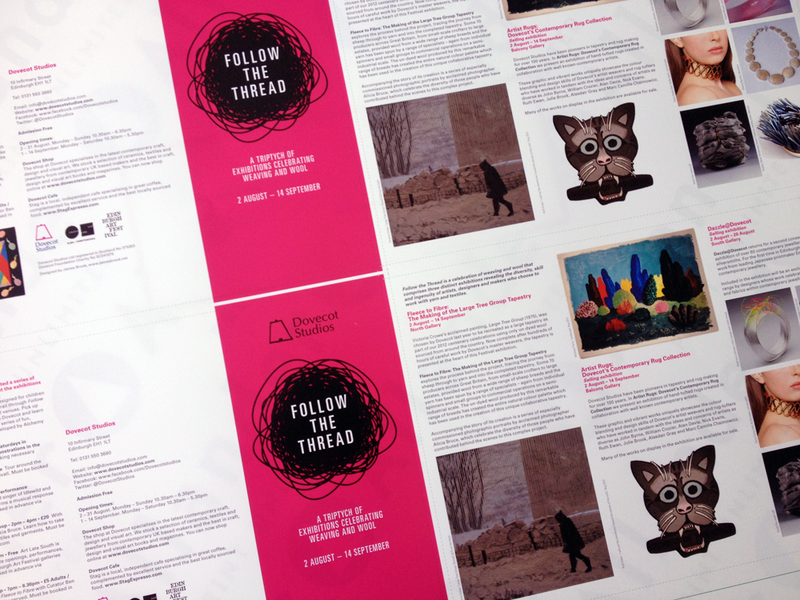 As part of the project, I am also designing banners, exhibition graphics, posters and bags!